What will you be doing in Los Angeles on February 23rd, 2018? Whatever it is, start feeling guilty if it does not involve attending the Live Noir Reading at BookShow LA in Highland Park from 7pm to 9pm. 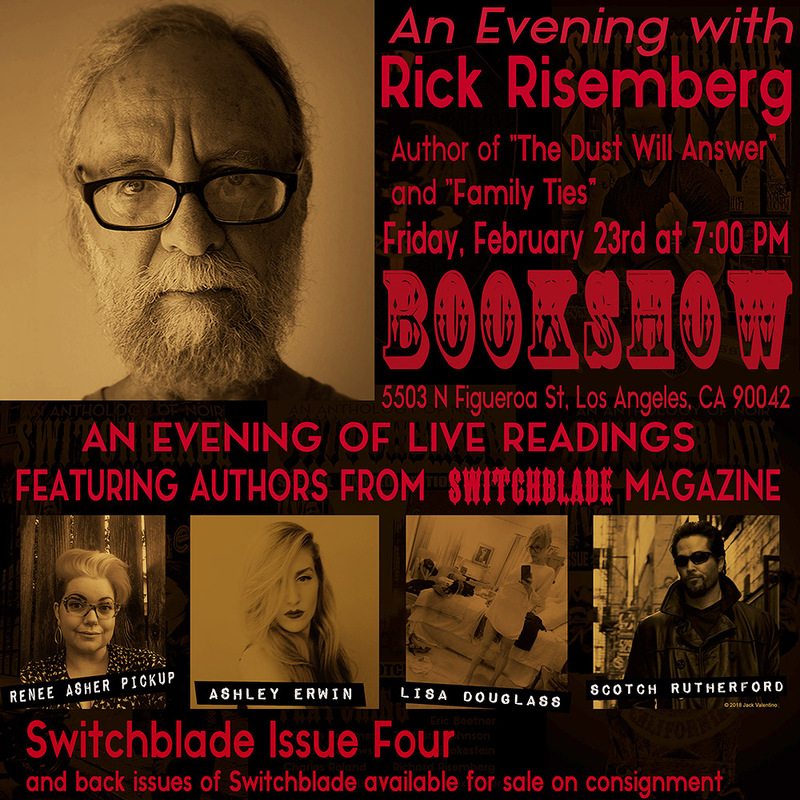 The picture up topside’s a promo made by Switchblade Magazine publisher Scotch Rutherford for a reading by five local noir authors at BookShow LA in Highland Park on February 23rd. I’ll be reading from my upcoming novel, My Turn to Die. I’ll also be signing copies of my current books, The Dust Will Answer and Family Ties; bring your own or buy them there while they last. Copies of crime & noir anthology “Switchblade” will also be available, as well as work by the rest of the crew.